The public exhibit, run by the College of Arts & Humanities since the mid-1970s, takes place from 5-7 p.m. Feb. 7, in the Monsanto Art Gallery of the Josephine B. Abney Cultural Center. All student works will be on display from Feb. 7-28, with sculpture, ceramics, computer graphics, drawing, painting and print making, and photography. 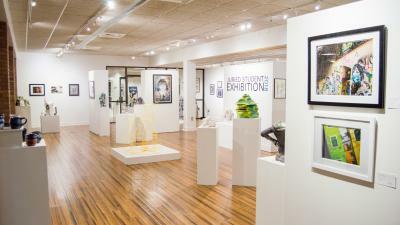 A total of 45 entries from 36 students were chosen for this year’s exhibit, and Dr. Jim Slagle, associate professor of art and Chair of Lander’s Art Department, said anticipation is running high to see the outcome. The exhibition juror will be Jennifer A. Smith, Gallery Director for The Arts Center of Greenwood. A Lander alum, Smith graduated in 2010 and has organized over 120 art exhibitions from 2010-19.